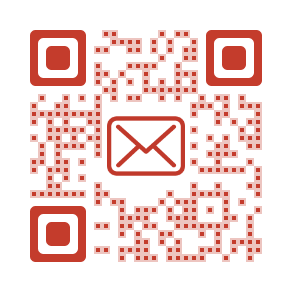 .United States Postal Service (USPS) has a history of promoting QR Codes. It does this by running incentive campaigns every year. USPS believes that direct mail is still a relevant component of marketing. And it wants to encourage its customers to invest in technologies that allow consumers to engage with mail i.e. QR Code technology. In 2016, the mailing service is launching a new campaign—2016 Mobile Shopping Promotion. It encourages mailers to use mobile technologies in their mails that makes it easy for consumers to do shopping. What is 2016 Mobile Shopping Promotion? As part of the 2016 Mobile Shopping Promotion by USPS, mailers can avail a discount on postage if they add a QR Code on their Standard Mail® letters and flats (large envelopes, newsletters, and magazines). The QR Code should be scannable by a mobile device. And it should lead the consumer to an online store. Here she must be able to make a purchase easily. Or to a social media page with the ‘Buy Button’. USPS is running this campaign to encourage use of mobile technology in direct mail to make it easy for consumers to engage (make purchases in this casse) with the mail they receive. This is just like a using a Product QR code on product packaging to engage customers. How can a mailer benefit from this promotion? Mailers can avail a 2% discount on every eligible (see below for eligibility criteria) mail. The discount will be applicable on the overall postage amount at the time of mailing. What all mails does the promotion cover? All standard mail letters, nonprofit standard mail letters, and flats are eligible under the promotion. This as long as they further meet the eligibility criteria. First-Class Mail, Periodicals (includes Pending Periodicals mail), Bound Printed Matter, and Media Mail are ineligible. One can access details of the QR Code placement restrictions from the promotion document. What is the procedure to avail the incentive? Mailers can register on the Business Customer Gateway (BCG) via the Incentive Program Service (gateway.usps.com) between May 15 and Dec 31, 2016. Registration should be done atleast 2 hours prior to presenting the first qualifying mailing and specifying which permits and CRIDs will participate in the promotion. The program will come into effect only between Jul 1 and Dec 31, 2016. Mailers must provide a unaddressed hardcopy sample of the mailpiece (with QR Code including placement) to the acceptance clerk. The Program Office will conduct a sampling of mailpieces collected at Business Mail Entry Units to verify that submissions meet program requirements. One must claim the discount at the time of mailing and cannot rebate at a later date. Depending on how one claims the promotion, the procedure to claiming discount will vary. Details will be accessible via the promotion document.